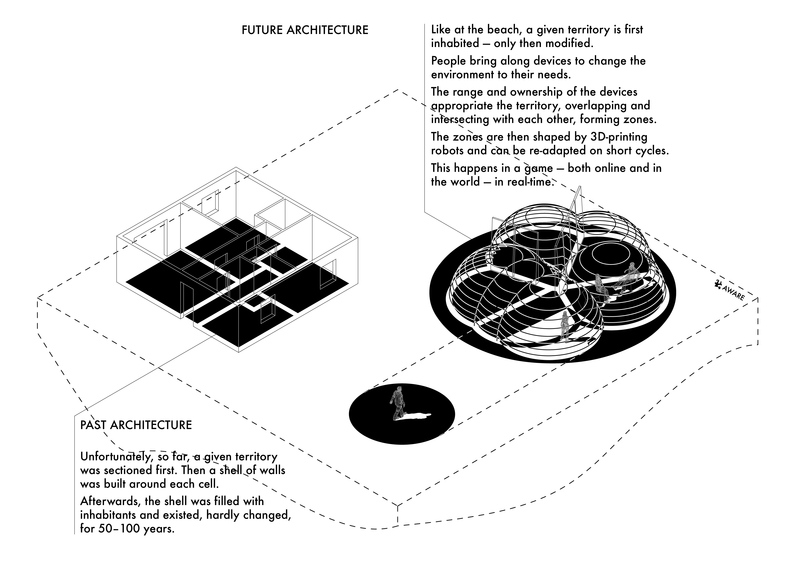 The idea for “Crowd-sourcing the Home” is AWARE’s contribution to the Future Architecture Platform. 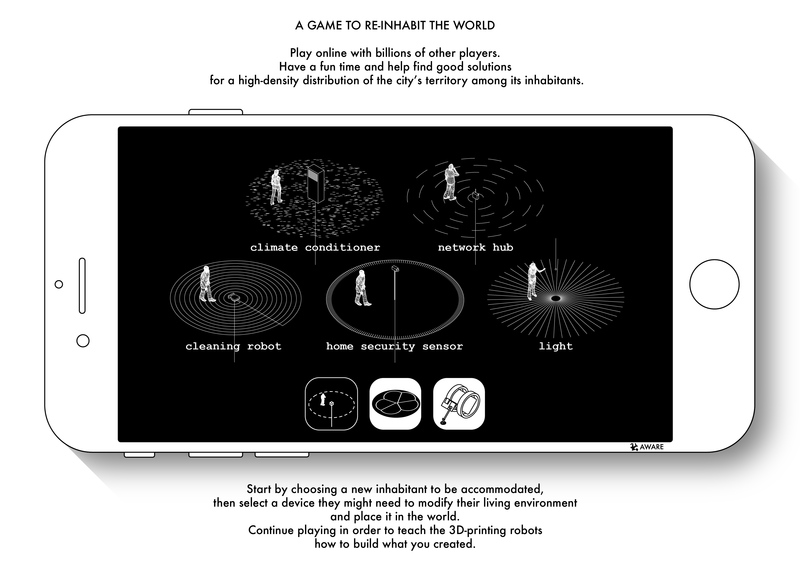 We imagined an Architecture made by 7,000,000,000 people with computer games and 3D-printing. You can help us get selected to present this idea at a series of architecture festivals and exhibitions across Europe in 2016. 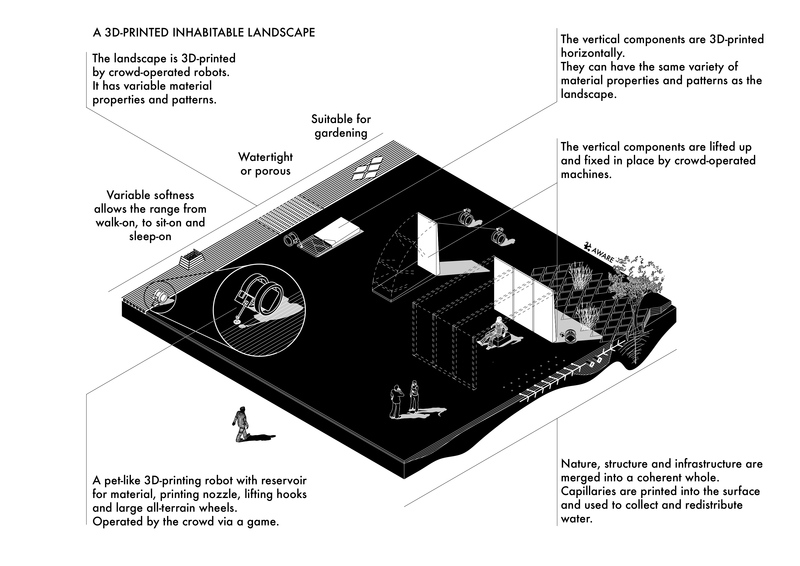 If you have some time today, like our article on Future Architecture Platform. Also, help us spread the word, share the idea on Facebook, re-tweet it on Twitter, pin it on Pinterest. At the beach an interesting dynamic is observed. New people arrive and find a spot they like, not too close to the others, but not too distant either. 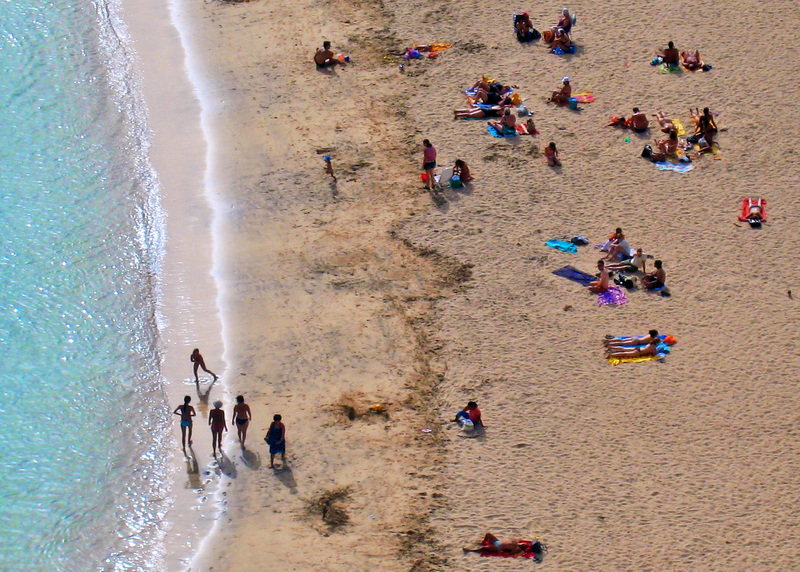 In the course of the day, the beach is portioned and re-organised into zones of leisure and pathways. 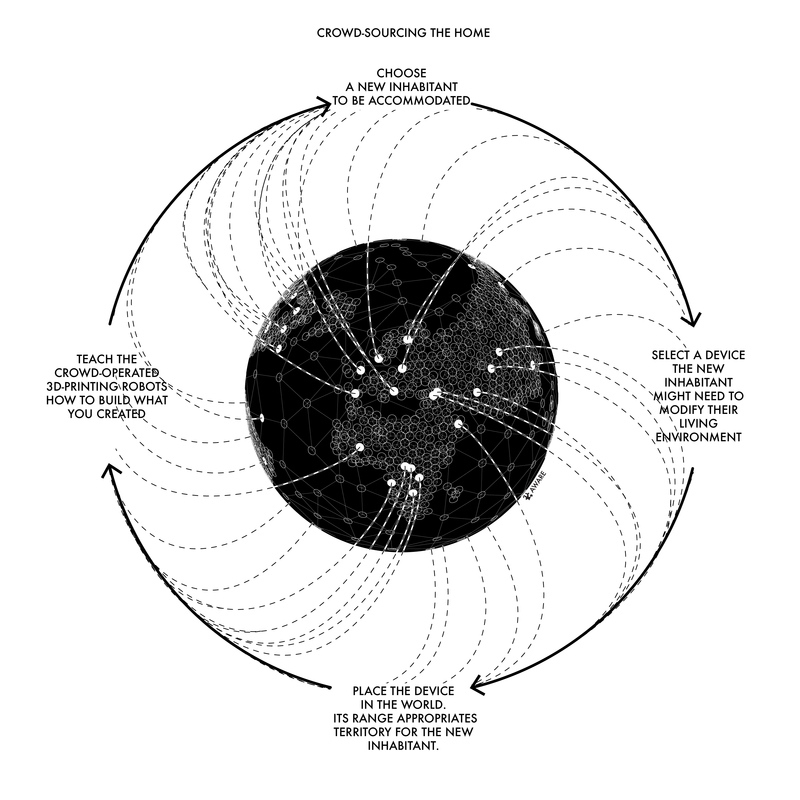 Architecture could be created in a similar, self-organising manner. We are surrounded by devices that change the temperature around us, clean our floors, and give us access to information. A device’s range is far more important than a wall. A device’s range helps its owner appropriate a small portion of territory. Networks of devices shape the landscape we inhabit. It is ever-changing like the beach and allows a person to come or leave, while the space adapts. This continuous formation is carried out by 3D-printing robots. The distribution of territory into a densely populated neighbourhood becomes a problem of arranging millions of devices. Solutions can be constructed by 7,000,000,000 people simultaneously using video games.